The eighth edition of the Sustainable Angle’s Future Fabrics Expo last month highlighted the need for a more varied approach to material selection and manufacture, as current global fibre demand lacks in diversity, our correspondent, design professional Anne Prahl reports. In order to inspire a broader textile fibre matrix, Future Fabrics Expo presented a carefully curated range of natural and man-made fibres and fabrics ranging from protein and cellulose-based natural fibres, to man-made fibres derived from natural and synthetic polymers. Material recyclability and biodegradability was featured in a dedicated display, highlighting the urgent need to develop alternatives to single-use plastic packaging and pushing innovation on plastic waste recycling. In line with the industry’s growing interest in cleaner and healthier materials, the dedicated innovation hub featured a variety of emerging bio-based materials made from agricultural food waste, mushroom mycelium, algae and wild rubber from the Amazon rainforest in Brazil. Moreover, opportunities to improve footwear manufacturing were also highlighted. Find out more here – Material diversity at Future Fabrics Expo London. Innovation in Textiles also spoke to Edwin Keh, CEO of the Hong Kong Research Institute for Textile and Apparel (HKRITA), about the latest ambitious recycling systems it is developing, bringing public officials, industry leaders, entrepreneurs, start-ups and members of the sustainable community together, and other activities. Mr Keh also discussed the project for the development of the Novetex Upcycling Mill for the H&M Foundation and Novetex. “As a leading yarn spinner, Novetex Textiles is committed to sharing the responsibility of environmental protection and to supporting Hong Kong’s innovative technologies. HKRITA has been working with Novetex to develop the production-level textile upcycling system since 2017. The mechanical recycling system provides a safe and dry process to upcycle textile wastes into quality textile fibre which can then be used in the production of yarn, fabric and garments,” he said. 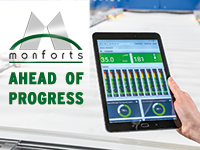 Learn more here – Getting closer to circular solutions. In November, the US government released a climate change report that details the possible negative impact that our environment will face in the next few decades. From a performance standpoint, consumers nowadays are increasingly seeking out apparel with specific attributes for various uses. But as consumers demand these products, the industry needs to shift towards producing them more sustainably. The time is here for the fashion industry to make a meaningful change in how we source, produce and distribute apparel to consumers, according to Renee Henze, Marketing Director, DuPont Biomaterials and Sorona. “While various organisations have taken steps towards reducing the environmental impact of apparel in 2018, to truly ignite meaningful change, the collective industry – from materials suppliers down to the consumers – needs to play a role in adopting a more circular model of fashion,” she said. Read the full interview here – Fashion industry needs to make meaningful change. 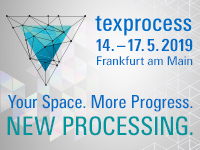 Meanwhile, the industry is getting ready for the upcoming Techtextil and Texprocess 2019 shows. In attempting to get across the importance of the EU textiles and clothing industry to its overall economy, Lutz Walter, director of Euratex, noted that the list price of a new Airbus A350-900 wide-body jet airliner is around EUR 275 million. “This means that the EU exports of textiles and clothing outside the block alone in 2016 were the equivalent of purchasing 175 of the Airbus planes, and closer to 350 at the usual discount, so we shouldn’t be so modest about our achievements,” he said, speaking at a press conference in Frankfurt on 9 January for the upcoming shows. This May’s exhibition will be dedicating an exhibition space to life in the city of the future with the Urban Living – City of the Future special event. According to the UN, nearly 70% of all people are expected to be living in metropolises and megacities by 2050. This poses new challenges for living and mobility concepts, as well as food supplies and health services provision. Functional apparel, with smart functions for example, could play an even more important role in people’s everyday lives in the future. Learn more here – Techtextil 2019: Reflecting positive growth. The Heimtextil home textiles show, also organised by Messe Frankfurt, is now simply huge – exhibitors topped 3,000 for the first time at this year’s show in Frankfurt last month. This has called for Messe Frankfurt to extend it to include Hall 12 at its fair grounds for the first time – a space which at 3,300 square metres is the equivalent alone of five football fields. It is also more international than ever, with the 3,025 exhibitors this year coming from no less than 65 countries, all looking to do brisk business in the key markets of Europe. Putting the importance of the home textiles industry in context, Lutz Walter said that within the EU, textiles and clothing was responsible for generating EUR 181 billion of business in 2017, of which home textiles accounted for 15%, or over EUR 27 billion. Read more here – Heimtextil 2019: Designs for our evolving tastes. As Applied DNA Sciences targets the fashion world with the new appointment of Stephen Birkhold to the company’s Strategic Advisory Board (SAB), clothing retailers have been told to act to ensure items they advertise as containing fake fur are not made from real fur. The Advertising Standards Authority found online retailer Boohoo had sold a pompom jumper which used real fur, most likely rabbit fur. The UK's advertising watchdog has given the companies a deadline of 11 February, after which they may face sanctions. This is a part of a widespread problem of real fur masquerading as fake fur. Oritain, a leading specialist in supply chain traceability, works with retailers and suppliers within the fashion industry, to trace the provenance of fibres through the supply chain by testing it in its natural state using forensic science. “This adds another layer of transparency and reassures consumers that what they are buying is exactly what it says on the label,” the company says. Find out more here – Warning for retailers selling real fur as faux. ADNAS, a leader in PCR-based DNA manufacturing for product authenticity and traceability solutions, has also signed an MOU with the Sun Chemical Supply Company of Taiwan. Under the terms of the MOU, Sun Chemical Supply will serve as a distributor of the CertainT platform in the heart of Asia’s textiles industry. Established for over 60 years as a chemicals, synthetic materials and equipment distributor in China, Taiwan and Vietnam, Sun Chemical Supply will provide deep industry knowledge, infrastructure and client base to expand Applied DNA’s reach to service its currently commercialised business and further build its pipeline. 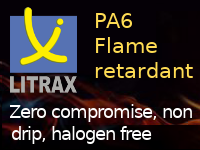 See more here – ADNAS to bring CertainT platform to Asia. Thank you for reading Innovation in Textiles!